We’re heading to the Elseworlds this December. Just as it did for the crossovers before it, this year’s almighty DC/CW superhero mashup is turning to comic book nomenclature. There was Invasion! Then there was a Crisis. 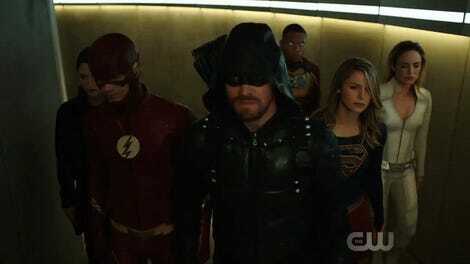 And now, Ollie, Barry, and Kara are visiting the Elseworlds—and encountering more than one familiar comic book face. 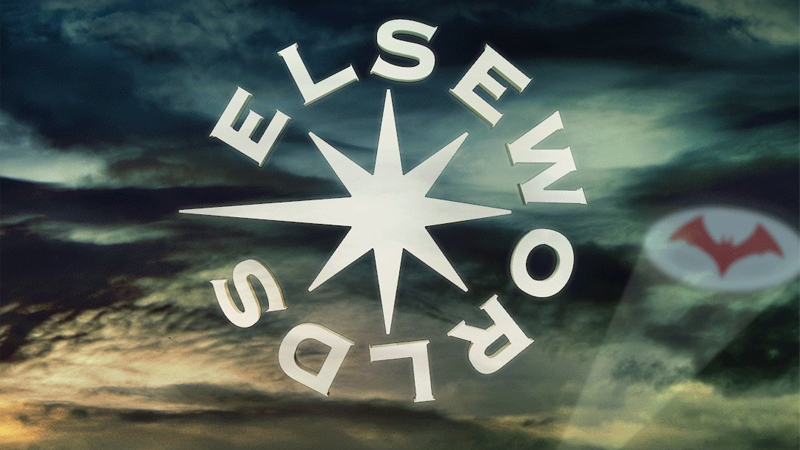 Revealed by the CW today, Elseworlds will kick off on the December 9 episode of The Flash, before taking over Arrow and then Supergirl on Monday the 10th and Tuesday the 11th, respectively. The episodes will see the casts of Arrow, Supergirl, and Flash cross over in an adventure to Gotham City, where they’ll meet Batwoman, played by Ruby Rose, who will go on to front her own TV show next year, and even meet Lois Lane herself, played by Bitsie Tulloch. We also recently learned Cassandra Jean Amell would play Nora Fries, spouse of famous Bat-villain Mr. Freeze, in the three-episode story as well. The name and emblem, of course, are nods to a banner DC Comics has long used to headline its imprint of DC superhero stories that sit outside of the mainline comics continuity, with famous icons like Gotham by Gaslight or Kingdom Come being among the series published there. Whether this is just a cute nod from the show that this version of Gotham and its Batwoman are from a different part of the multiverse than the Arrowverse shows—in the way Kara’s from a different Earth—or if it could mean something bigger remains to be seen. We’ll have to wait until December 9 to find out! Update 2:15 p.m. EST: DC has now also confirmed that LaMonica Garrett will appear in Elseworlds as none other than The Monitor, an infamous cosmic being who played a huge part in Crisis on Infinite Earths in the comics. The Monitor has vast knowledge about the nature of the DC Multiverse, and gathered DC’s heroes together to face the ultimate task of confronting the Monitor’s ultimate antithesis, the destructive force known as...the Anti-Monitor. According to DC, George Pérez, one of the Monitor’s co-creators alongside Marv Wolfman, will illustrate a sketch of Garret’s take on the Monitor that “plays a prominent role in the crossover’s story.” Interesting!